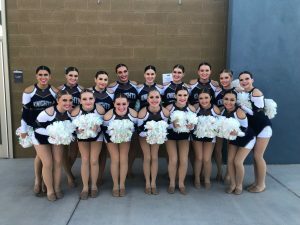 GOODYEAR, AZ On Saturday, November 17, the Higley Spiritline varsity teams competed at USA Regionals at Estrella Foothills High School with the goal of qualifying for nationals. All the teams did an amazing job and are excited to have qualified. Get ready to see all the varsity spiritline teams take the floor in Anaheim, California in February to compete at the 2019 USA Nationals. 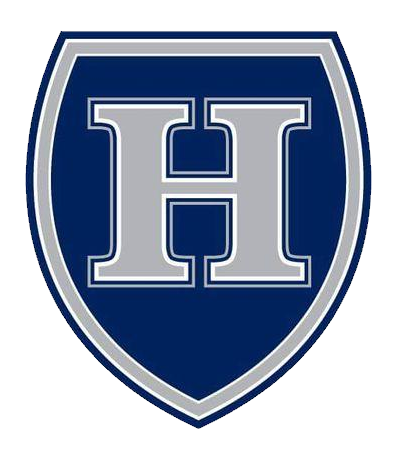 Not only did all Higley teams qualify, they also swept the competition. Varsity show cheer put on a great performance and won first place in the large intermediate division. 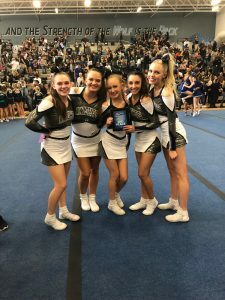 Higley also had two groups compete in the intermediate all girl stunt division and took home first and second out of thirteen stunt groups that competed. Pom also did an amazing job, working their way to a win in the intermediate large pom division. Finally, the outstanding jazz team won first place for overall varsity jazz. 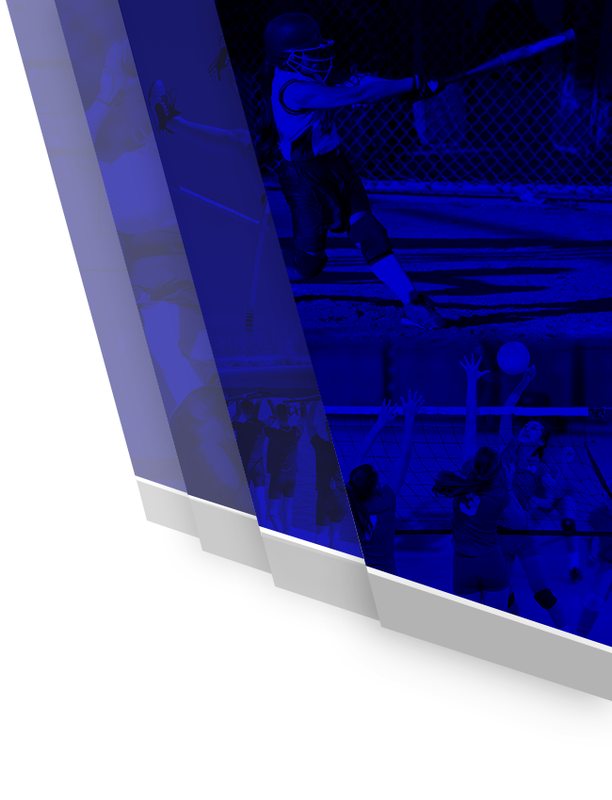 The teams are confident and looking forward to their next competition, AIA Regionals, where they have the chance to qualify for state. 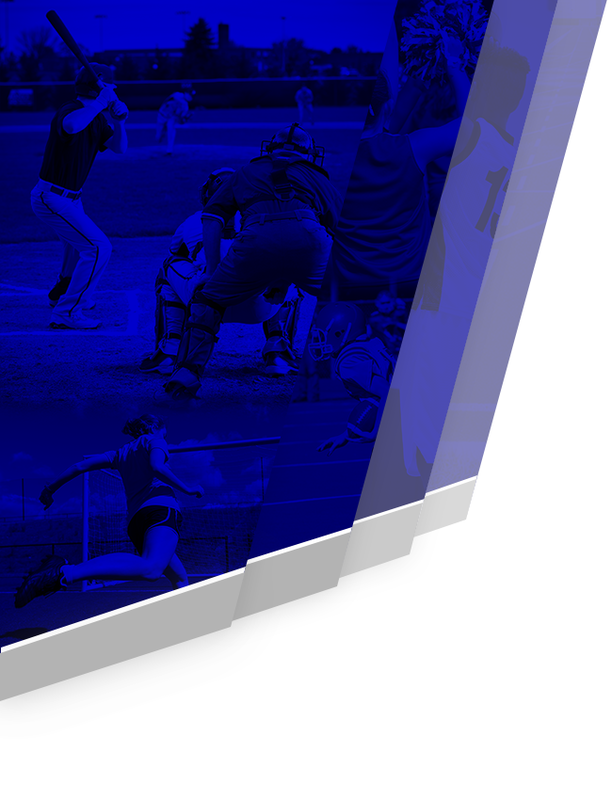 They are in very competitive divisions, but are excited and ready to show off their skills. 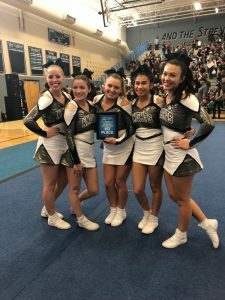 The varsity coaches, Caitlin Large (cheer) and Olivia Seare (pom), are very proud of the girls and all the hard work they put in and, after celebrating their wins, they are ready to keep up the work and make the routines even better than they already are. 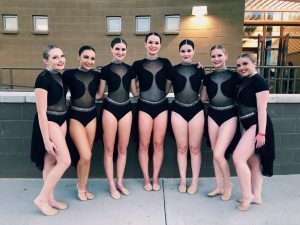 Great weekend for the varsity teams of Higley Spiritline.